Lebanese microfinance company Vitas Lebanon has launched a new youth enterprise focused initiative in partnership with regional social initiative Silatech. Designed to help finance youth-run businesses, the initiative includes the introduction of a new dedicated youth start-up loan product called “Taasis” as well as an outreach effort to finance more existing youth enterprises. This initiative is expected to create or sustain 2,400 youth jobs over a three-year period. The Taasis (“Founding” or “Establishment”) loan provides young entrepreneurs with loans averaging USD 5000 for financing for their startup businesses. 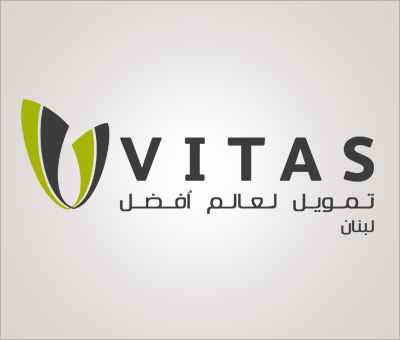 In addition Vitas Lebanon will seek to provide existing youth enterprises with loans averaging USD 2000 to finance their expansion. In parallel with providing financing, Vitas with the support of Silatech, will also provide business skills training to the youth and launch a business plan competition to raise awareness of entrepreneurship and generate successful business ideas which they can then finance. In June 2015, Silatech conducted a two-day “training of trainers” workshop in Beirut for Vitas Lebanon credit officers outlining approaches and communication techniques for effectively targeting youth clients, and advising on more accurate and relevant criteria to use when screening loan applicants. At 30 percent, unemployment among young Arab men and women is the highest in the world. Youth unemployment in Lebanon is somewhat lower, at 21 percent, though still markedly higher than the global average of 13 percent. Silatech’s support to Vitas Lebanon is part of a broader programme across the region, which includes the design and launch of youth friendly financial products with microfinance institutions (MFIs) in multiple countries. 2015 will see new youth focused products and initiatives launched by MFIs in Lebanon, Jordan, Iraq, Egypt, Tunisia, Sudan and Morocco. Two examples of these are MicroCred Tunisia who recently launched “Irada,” while Jordan’s Tamweelcom announced “Amal Al Shabab,” both in partnership with Silatech and designed especially for young startup entrepreneurs. These products are designed to help youth create jobs not only for themselves, but also for other youth as their businesses succeed and grow. According to the World Bank, young people in the Middle East and North Africa (MENA) region have the world’s lowest levels of financial access. Silatech works to expand access to finance for young Arab entrepreneurs, working with banks and financial institutions throughout the region to develop youth-friendly loan products and business support services. Innovative financial institutions such as Vitas stand to gain from targeting the youth enterprise market, as younger clients can offer substantial lifetime value, and institutions can gain significant positive visibility by implementing meaningful solutions in the fight against youth unemployment. Mohammed Al Naimi, Acting CEO of Silatech, said “In the fight against youth unemployment in the region, youth enterprise is becoming one key solution. Working with established and experienced partners such as Vitas Lebanon is essential in order to understand the needs of young people and design interventions that enable them to start and grow businesses which create jobs for themselves and others. Vitas Lebanon is one of the country’s leading microfinance institutions which has an innovative business model: it partners with several local banks to expand outreach to clients beyond its own branch network, and further accommodates clients’ needs by offering loans in both the local currency and US dollars.